It has been 10 years now since I first embarked on a massive garden project. One that involves pouring concrete, bringing in boulders, and that will lead to me planting a whole bunch of palms, cycads, agaves and aloes. I always knew what I wanted to do in the garden, and for many years I had been collecting and growing the plants that would be used. The main reason for the delay was not having the cash available to do what I envisioned. 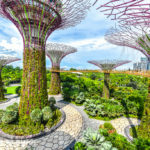 Just when I would save up enough to perhaps start, some unplanned expense would hit or we would take a family trip that always seemed to cost more than we budgeted for. So I waited patiently. Thanks to some creative financing and savings, I am ready and excited to share some details of the numerous little projects that, when put together, turn into one massive garden project. First up are the two biggest changes. One is going to be the removal of a major portion of my back lawn. My wife has fought me on this through the years, but the water bill and my persistence finally won her over. Half of the grass shown below will be removed and made into a large planter bed. What is going to be in the planter bed in the backyard? A cycad garden. 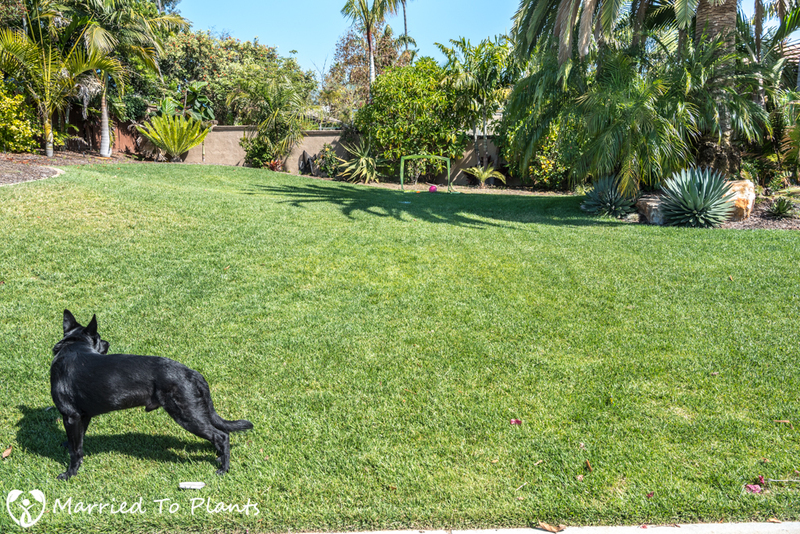 I will be replacing two sprinkler zones with one and estimate that I will be able to cut the water in that area by two-thirds by planting cycads and other water-wise plants in the bed. Over the years I have either paid for or done some major horse trading to acquire a large collection of cycads. 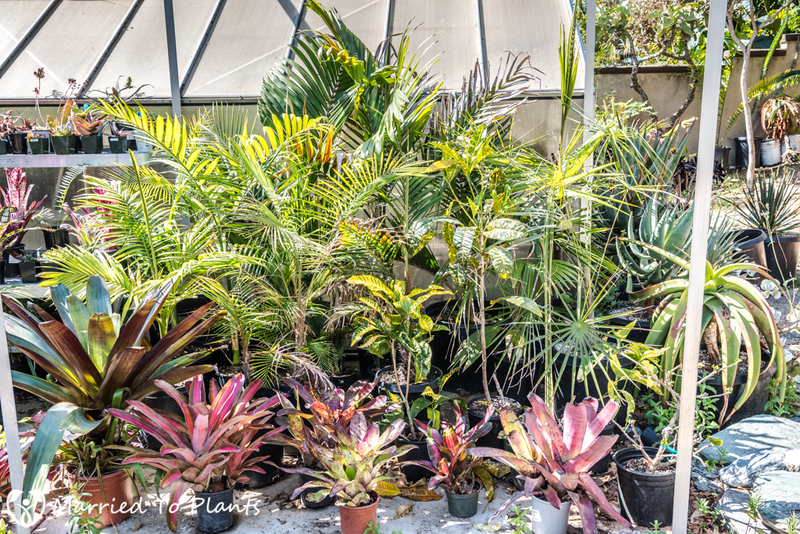 Some of these cycads have been waiting in their pots for 10 years now. 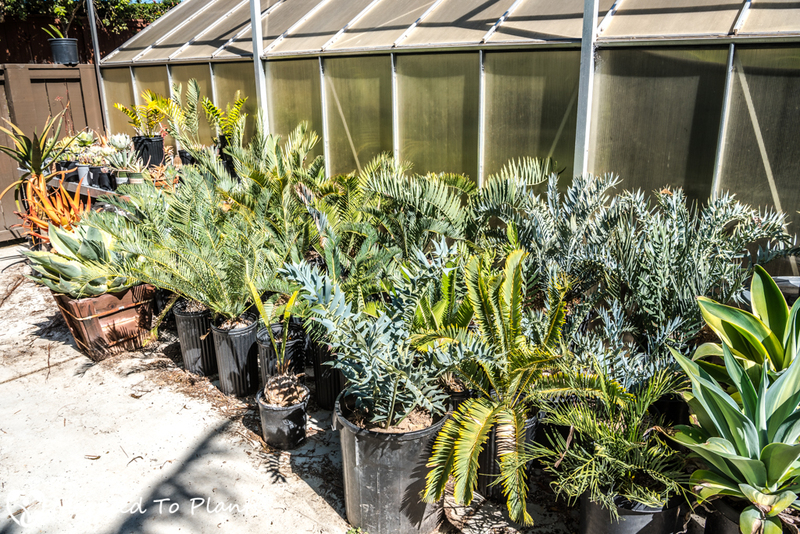 Almost all of them are the blue-type Encephalartos. So they will not get huge and will look great all planted together. The next biggest change will be the replacement of half the front lawn. In this location I plan on creating two new planter beds that come off the current one I have. The two new additions will look like fingers making a peace sign if you looked at it from above. 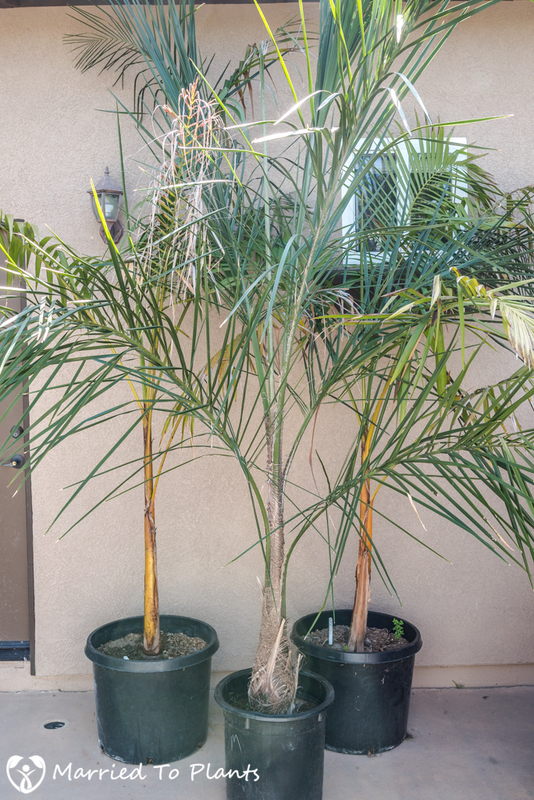 The planter that will be in the back will become a home for palms and other more tropical plants. 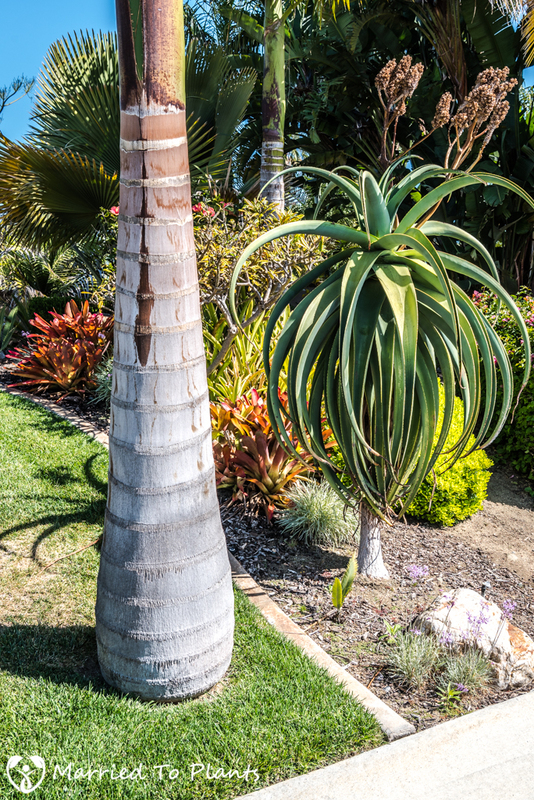 The finger in the front will become another water-wise bed with aloes and agaves as the feature plants. I am estimating that I will be able to cut my watering requirements down by a third in this area. 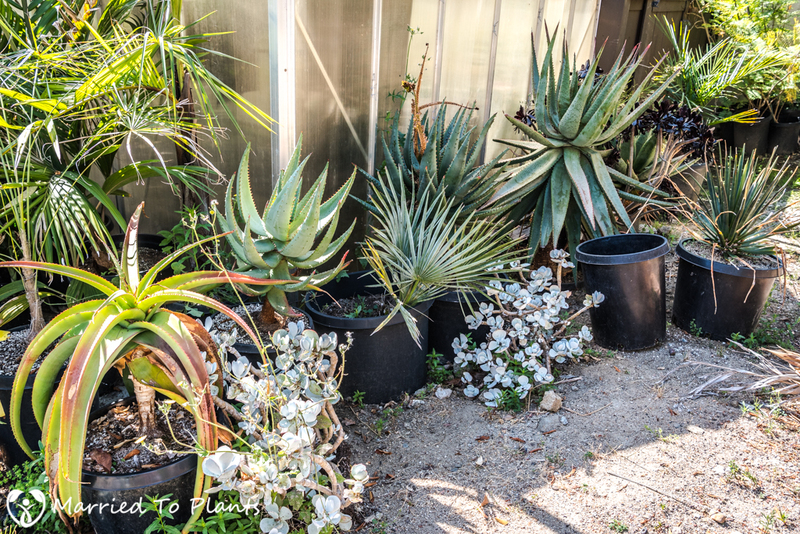 Like my cycads, I have quite a few really nice aloes waiting to be planted. Most the large ones shown below were actually dug out of other peoples’ gardens when they no longer wanted them.These will go into that front finger I described above. 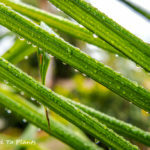 The palms and tropicals are ready and waiting as well. Those are the two biggest changes in what I term a massive garden project. 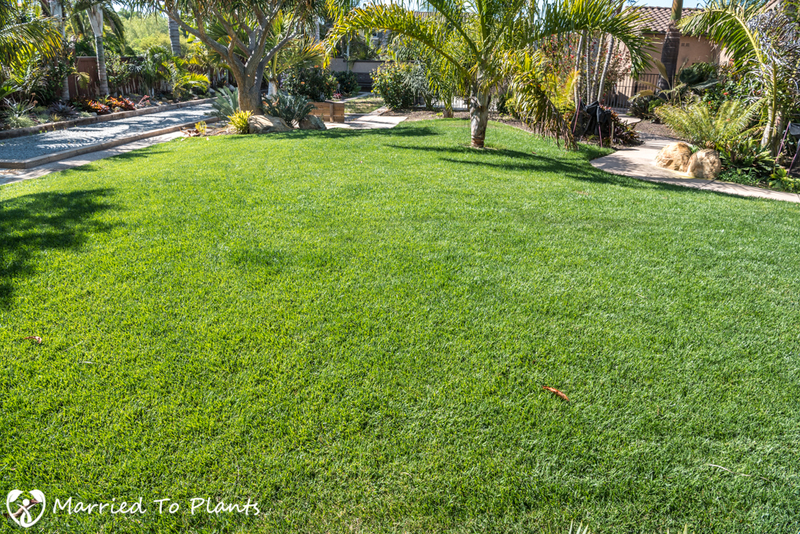 Removing or rerouting sprinklers, adding mow curbs, importing large boulders, dumping piles of DG, planting everything, and laying down the gravel and stones to finish it off will take time. I found someone who does concrete work as a side job, so scheduling will take longer. My lawn care guy does sprinklers. So this leaves me with the plantings and the stone and gravel work to polish off everything just right. I can’t wait to document all these changes in later blog posts. Combined with the two larger scale projects, I do have a bunch of smaller things to work on too. 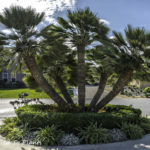 Years ago I made the mistake of planting palm trees right in my lawn. It has bugged me ever since. 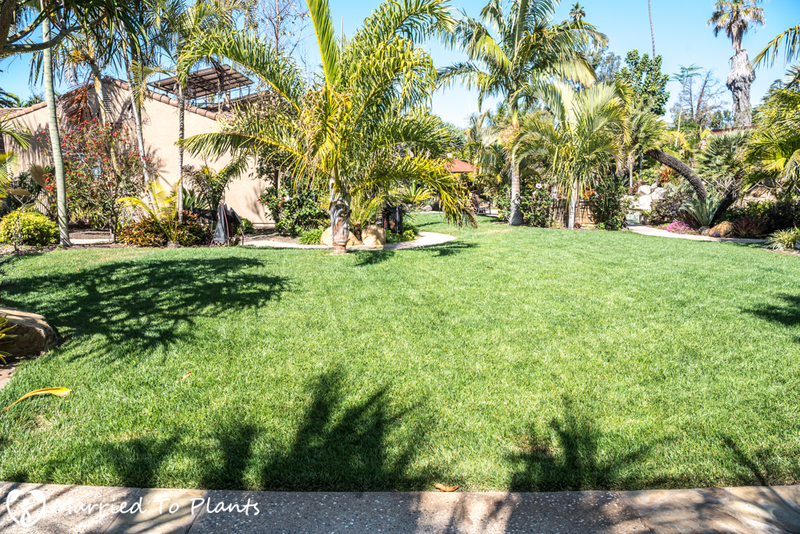 I will be knocking out the current mow curbs and replacing them with ones that will go around the palms and include them in the planter beds. 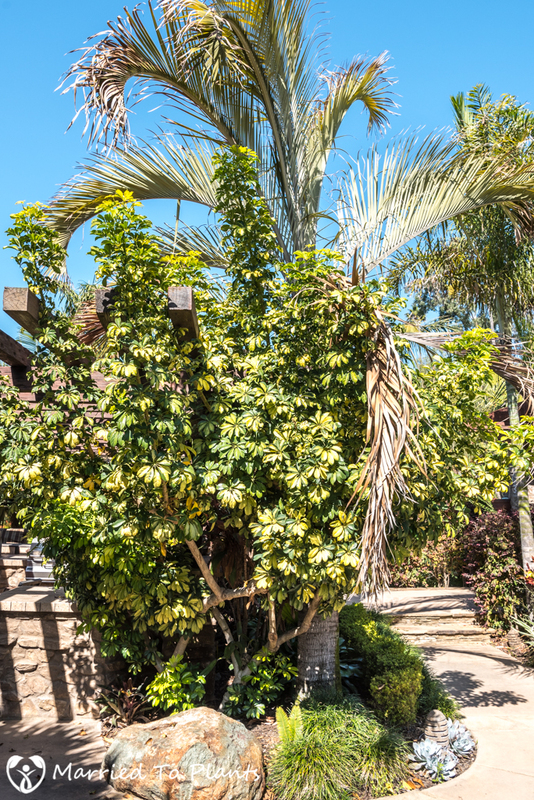 Another project involves removing a messy Schefflera arboricola ‘Variegata’ and a dying Dypsis decaryi. 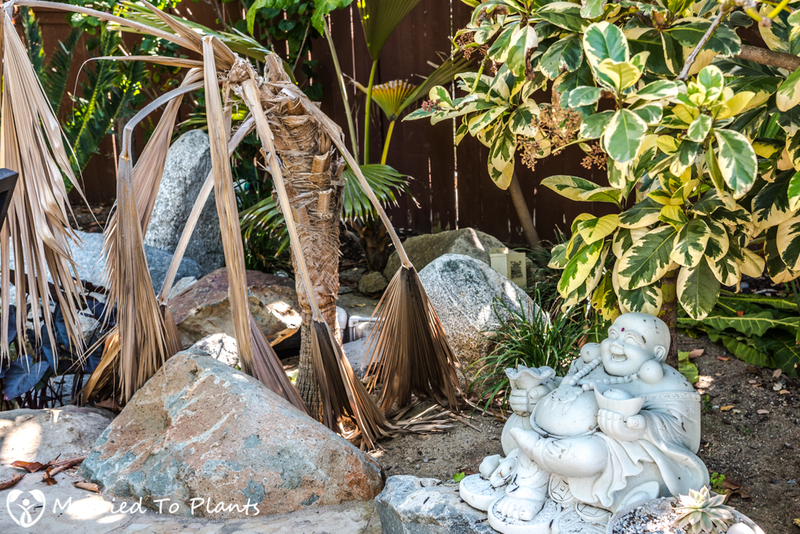 I most likely would have left the Schefflera and just continued to cut it back each spring, but with the loss of my large Dypsis decaryi, I figured it’s a good time to clean up this busy area. I have tried for three years now to stop the decline of the Dypsis decaryi. I love that palm. Sadly, I couldn’t stop the decline, which is not uncommon with this species here in Southern California when they get this big. I will be renting a stump grinder to make sure I get all the roots out from both these trees. 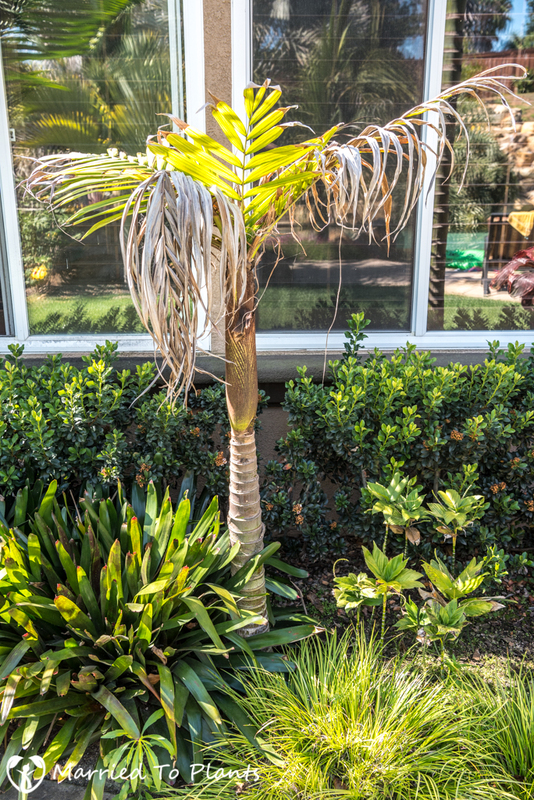 A Roystonea princeps will replace the dying palm, while the Schefflera will be replaced with some Ti plants. Speaking of dead palm removal, I do have some casualties needing removal that I discussed in an older blog post. 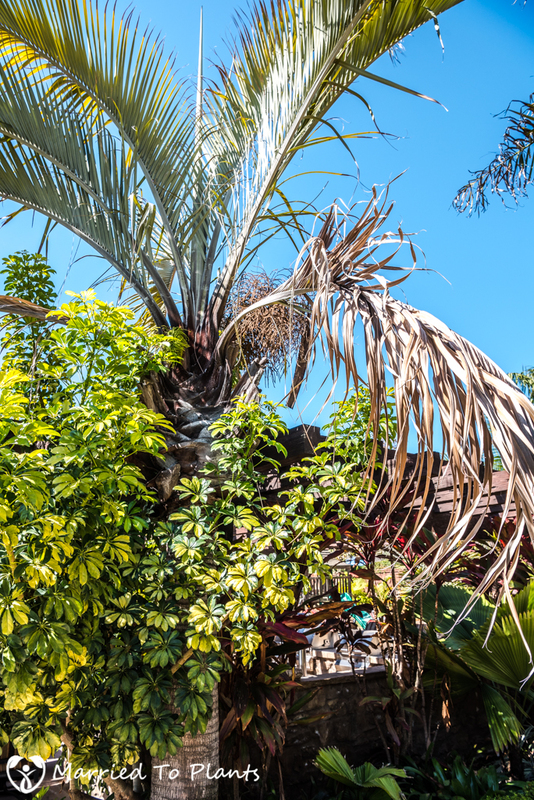 This Pritchardia carcass will be replaced with a beautiful Dypsis malcomberi that I have grown into a large 15-gallon-sized palm. It won’t just be dead palms being removed. I will also rip out underperforming palm trees that I have lost patience for. Like this Burretiokentia vieillardii. But it is not all doom and gloom regarding palms. Many nice new additions will make their way into the garden. Like the two Euterpe edulis ‘Orange Crownshaft’ and the Syagrus picrophylla x coronata in front in the photo below. Well that’s basically what I have going on for this big garden change. I wish I could start today, but it will need to wait a few weeks, as the cement guy isn’t ready just yet. I know I am not alone in getting excited about the thought of a massive garden project. I read many other blogs and talk to many gardeners. One thing they all have in common is that they all get giddy when talking about some upcoming garden additions or changes they have planned. Hello Len, this week i have discovered your blog. I have been hours reading it and the only thing that i can say, it is, thanks!!! Your blog is amazing!!! Good luck with your new garden adventure, i will follow it. Good luck with the garden remodel Len. I am trying to finish up with one myself as well that involves paving stones, small area of artificial turf that will surround an existing fire pit and a new pergola. I think I have all my palms in (for the most part). Just coordinating is a lot of work but very exciting like you say. Btw, I too have to do some “convincing” of my wife to see out my visions. I sure wish I had a greenhouse like yours full of beautiful back up plants. I’m addicted to buying them though so I just have to stash them under the patio cover which is the part I think really drives my wife crazy. But luckily she’s a good sport. I regularly read your blog since discovering it a couple months ago so I look forward to seeing the updates. Hi Greg, sounds like a great project. I would love to go artificial turf someday. As far as the greenhouse, it really was a great investment. I live in the thing come winter. Amazing and ambitious project Len. 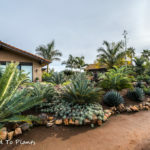 As an agave hoarder in zone 8b I really am just discovering some of your exotic plants such as cycads through your blog posts. Good luck with this new project. Awesome! 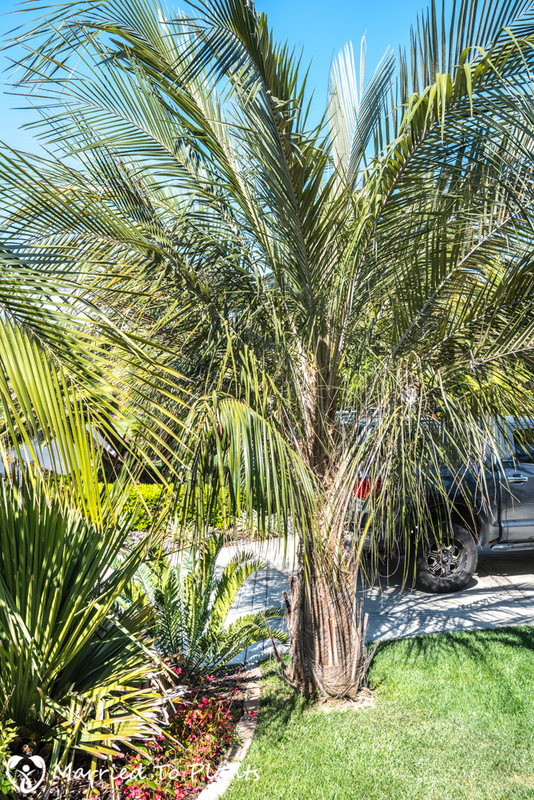 Bob, somem cycads would do very well for you in zone 8.